‘El Cono Sur’ (the Southern Cone) is the name given by many South American natives for the area including of Argentina, Chile and Uruguay. The mild, warm, and summery climate is known for attracting tourists and students studying abroad from northern hemispherical locations during the winter. This year was no exception as record numbers of tourists arrived at airports in Santiago, Buenos Aires and Montevideo between the months of December and February. 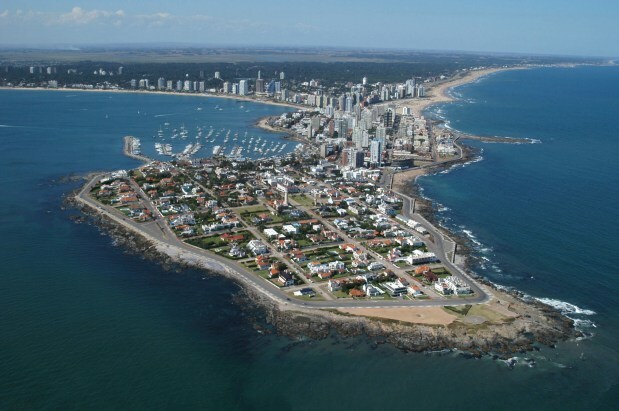 In particular, Uruguay received a surge of tourism, with both international and regional tourists from Brazil, Argentina, USA, UK, and Scandinavia landing in Montevideo and traveling to popular beach resorts like Punta Del Este. This year, like the past two years, Uruguay was a popular vacation destination for local tourists, bordering neighbors and longer distance travelers from the United States and Europe. One reason is currency disparity. Despite the economic crisis in Europe and North America, Uruguay has remained relatively unaffected; yet it still has a weaker currency than many of the countries substantially affected by the crisis. 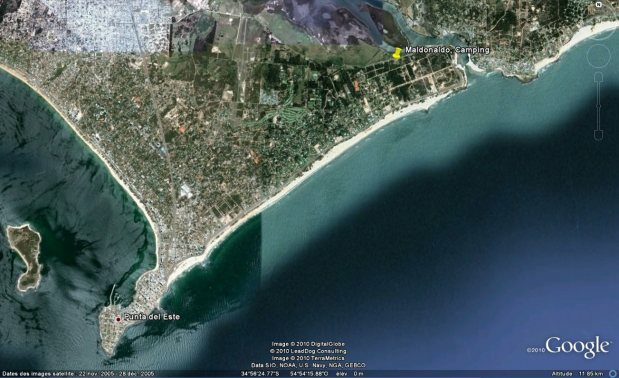 This makes vacationing here a stable situation, yet still a very cheap option with its beautiful coastal Atlantic beaches. Another reason Uruguay has only recently become such a popular vacation spot is because until now it was somewhat under the radar. Besides producing some star soccer players, Luis Suarez and 2010 FIFA MVP Diego Forlan, Uruguay is probably best known for its dairy products and cattle industry. 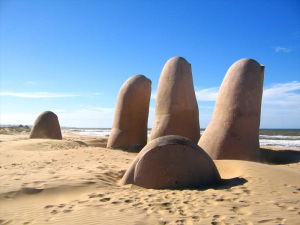 Thus Uruguay is something new, interesting and non-overcrowded in the minds of travelers and vacationers. Even at the hippest beaches that draw large crowds, like Montoya Beach and Bikini Beach, the crowds are not even close to being as jammed as Cancun, Mexico, Bondi Beach (Australia) or any of the Miami beaches during peak seasons. Yet they are filling up, but in a nice gradual way that does not destroy its history and culture or seek fame as a Spring Break hot-spot. 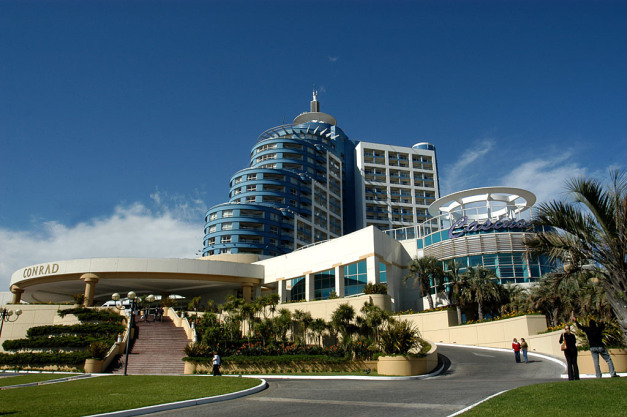 In Punta Del Este high-end hotels, and large glass waterfront properties are springing up amidst what was once a unique, almost southern Mediterranean coastal town, with its own blend of European architectural influences. You will encounter many original constructions with terra-cotta roofs near the downtown and further out into Maldonado County, intermingled with modern European structures. Along the shoreline, such as in Casa Pueblo in Punta Ballena, you will find some purely original castle-like designed by local artist and poet Paez Villaro. From the high rises, casinos and hip beaches of Punta Del Este, to the recently established beach spots in Jose Ignacio, or the eclectic hippie refuge with tall and impressive sand dunes in Cabo Polonio, there is something for everyone on the coast of Uruguay. 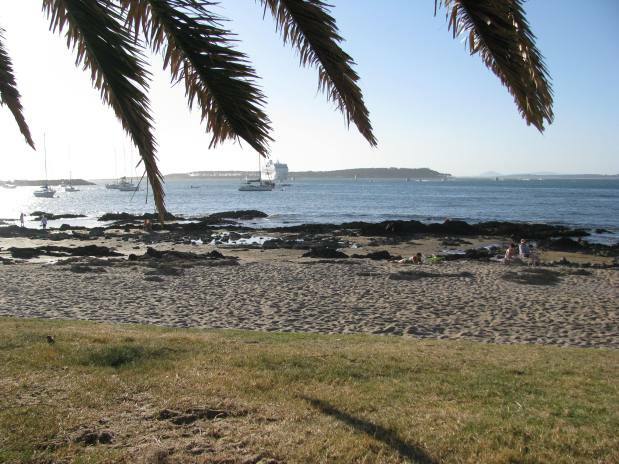 Whether you're into Kite Boarding, Sand Boarding, sailing, clubbing, gambling, cultural exploration, or just sitting on the beach reading your book and people watching (very popular in Punta Del Este), make Uruguay your next vacation destination. There is a lot of natural beauty, culture, and opportunities for relaxation and exploration to enjoy in this relatively unheard of South American haven for safe and economical tourism. geoidnico is a contributor for Xploritall, and also runs his blog, Geoidlife. This article reproduced courtesy of Geoidlife. geoidnico is a contributor for Xploritall, and also runs his blog, Geoidlife.